1/24 scale plastic model assembly kit of Isuzus VehiCROSS, an SUV which was announced at the 1993 Tokyo Motor Show and was later released in April 1997 as a production model. 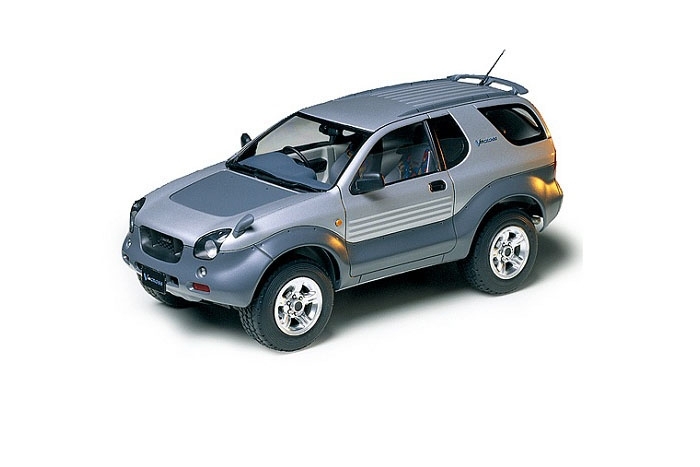 "Vehi" meant "Vehicle" and "Cross" represented the crossover concept. Special Feature 1 Highly-detailed chassis undersurface. Special Feature 2 Cabin features separate side panel parts to enhance scale presence. Special Feature 3 Tires with realistic tread pattern and metal-plated wheels included.